This should be a pretty basic concept, but I’m getting conflicting information. Which of the following statements is most accurate in describing a company’s book value? A Book value increases when a company retains its net income. B Book value is usually equal to the company’s market value. C The ultimate goal of management is to maximize book value. The answer they give is A.
I understand that A is a viable answer, but clearly, according to Schweser, C is correct too. 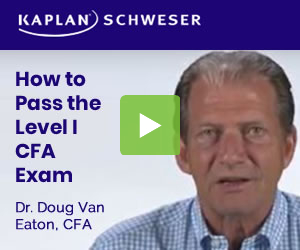 Is it because Schweser states “increase the book value” VS CFAI’s “maximize book value”? Any clarification would be helpful! This same question puzzled me, in exactly the same way. So hopefully someone smarter comes to enligten us. I finally put it down to the difference between ‘ultimate’ and ‘primary’. I’mnot a native speaker unfortunately so can’t tell if it really matters. Maybe it’s the maximize-increase thing…. I have not venture that far yet (as I’m still stuck in FRA) but I can share with you based on what I have learnt during undergraduate days. B is definitely out as market value of the firm is ultimately based on market forces. It depends on the efficiency of the market (which I think most market are exhibiting semi-strong form effiicency) to price the share price of the firm. The management of the firm know the true value of the firm but not corporate outsiders. Now we are left with A and C.
Book value is equivalent to the Net Asset Values of the firm (“NAV”) i.e. Owner’s Equity is defined as the residual interest in assets that remains after subtracting liabilities. A makes sense as net income is a component of retained earnings which in turn is a component of owner’s equity. As retained earrings increase, shareholder’s value will increase which in another words, means NAV of the firm increases. For C, I think the ultimate goal of management is to really maximise the owner’s value through different means; while increasing book value of the firm seems correct; another important consideration for the firm is their market value. As in the imperfect world, information asymmetry exist and it is really the management’s responsibilities to convey the message ” My firm is a good firm” i.e. signal to the market. I’m stumped by the same question. I guess the material states that the ultimate goal is to increase book AND market value. So it’s quite a tricky question. If someone could confirm this perhaps? I agree that the question is being too literal but I think the word ‘Increase’ in schweser and ‘Maximum’ in CFAI both have the same notion. The word thereby kind of gives the hint that the ultimate aim is to achieve increase in Market Value ( or Maximize Market Value). The increase in book value is kind of way or tool to achieve the ultimate aim.